Expect 10% on fuel SAVINGS with the Fuelizer alone on US diesel trucks, 12L to 15L engines. EURO trucks you can except 20% on fuel savings. Cleaner emissions to boot! 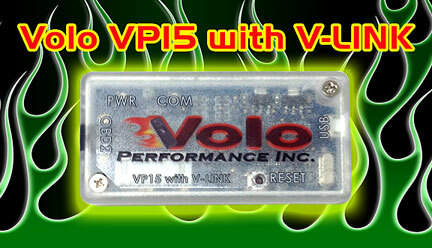 Burn more of the fuel you purchased = SAVINGS and cleaner and greener! 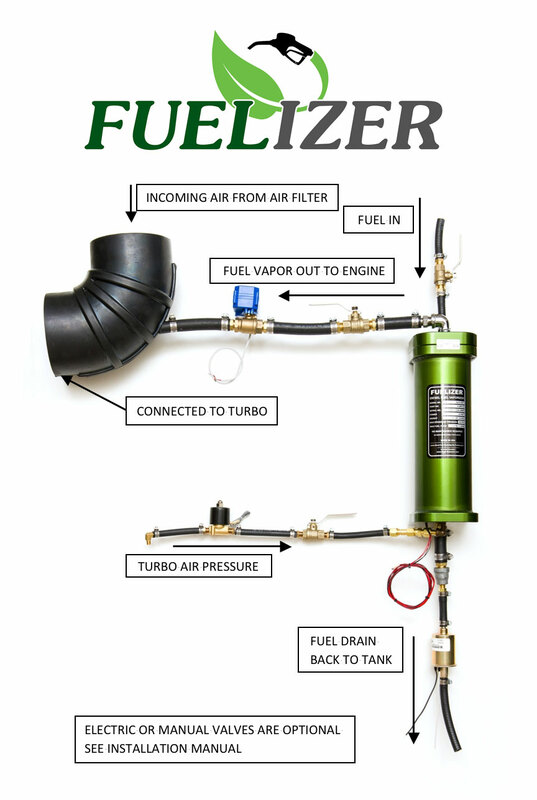 The Fuelizer is designed to work on turbo-charged engines and will work with a variety of liquids, like gasoline, diesel, bunker, alcohol and water. The Fuelizer comes with a 36 page manual that covers the installation on turbocharged diesel engines. The Fuelizer is active ONLY when the turbocharger is providing pressure. Generally, this is only when the engine is under load; so if you are at idle a lot, like a city bus, the Fuelizer will take longer to pay for itself. The Fuelizer will outlast your vehicle. It is truly a good long-term investment. Proper operation of the Fuelizer depends on you following these Installation Instructions exactly. Updates, options and further appropriate fuel saving enhancements will be detailed in the Eagle-Research online HyCO 2DT Resources). In North America, installing the Fuelizer will not void your engine or vehicle warranty. We cannot speak for laws in other countries. The Fuelizer itself does not require any maintenance. Just check the hoses and electrical connections occasionally. Appropriate Combustion Enhancement Interface Technology (CEIT) may be added during and/or after the HyCO 2DT installation. CEIT allows custom tuning of the vehicle’s sensors to optimize the interface between the Fuelizer and the vehicle’s computer. CEIT is detailed in the Eagle-Research HyCO 2DT online Resources. For many reasons, including but not limited to, that we have no control of your application, installation, skills, materials or use of Fuelizer (HyCO 2DT) technology, we do not assume any liability whatsoever. By installing the Fuelizer (HyCO 2DT) you acknowledge that YOU accept total installation and use liability. We do cover you with our 60 day Full Money Back Customer Satisfaction Guarantee and a HyCO 2DT Manufacturer’s Defect Warranty. Fuelizer is the brand name for Peter Docken’s modern version of the HyCO 2DT technology originally developed by George Wiseman and Hubert Hummel of Eagle-Research, Inc. during 1990. All rights Reserved, Copying without the express written consent of the authors is strictly prohibited. Hydrogen Garage Terms and Conditions.